To correspond with an endofilter representative or request a price list please contact us by the method easiest for you. 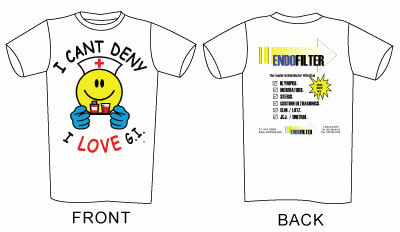 SHOW YOUR SUPPORT FOR ENDOFILTER BY WEARING OUR T-SHIRT! IT IS AVAILABLE IN A VARITEY OF SIZES, JUST ASK YOUR ENDOFILTER REPRESENTATIVE FOR INFORMATION. FREE TO CUSTOMERS UPON REQUEST!